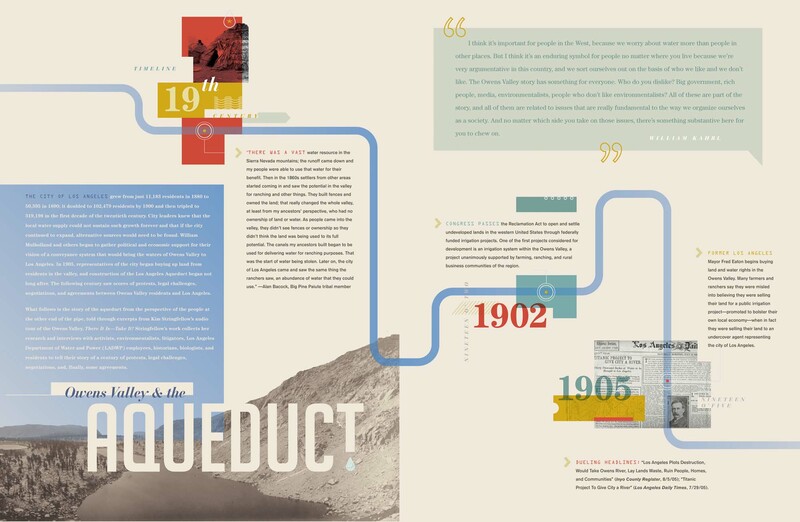 The Los Angeles Aqueduct’s impact on the Owens Valley through time. The city of Los Angeles grew from just 11,183 residents in 1880 to 50,395 in 1890; it doubled to 102,479 residents by 1900 and then tripled to 319,198 in the first decade of the twentieth century. 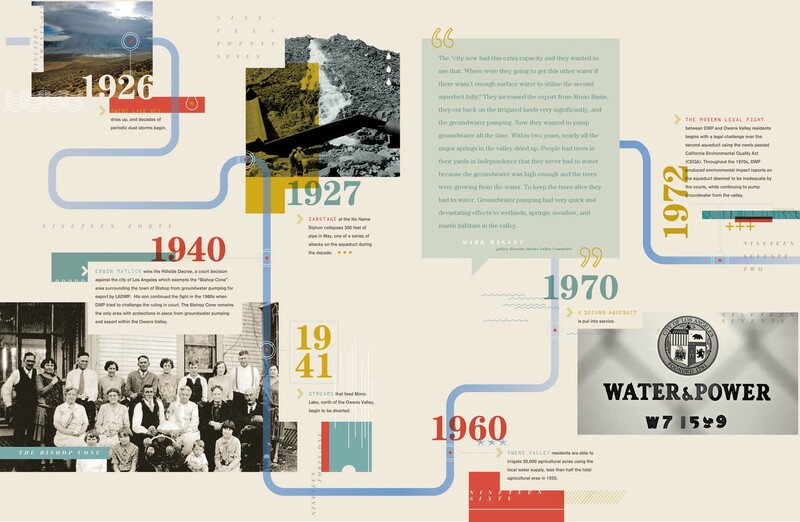 City leaders knew that the local water supply could not sustain such growth forever and that if the city continued to expand, alternative sources 1 1ould need to be found. William Mulholland and others began to gather political and economic support for their vision of a conveyance system that would bring the waters of Owens Valley to Los Angeles. In 1905, representatives of the city began buying up land from residents in the valley, and construction of the Los Angeles Aqueduct began not long after. The following century saw scores of protests, legal challenges, negotiations, and agreements between Owens Valley residents and Los Angeles. 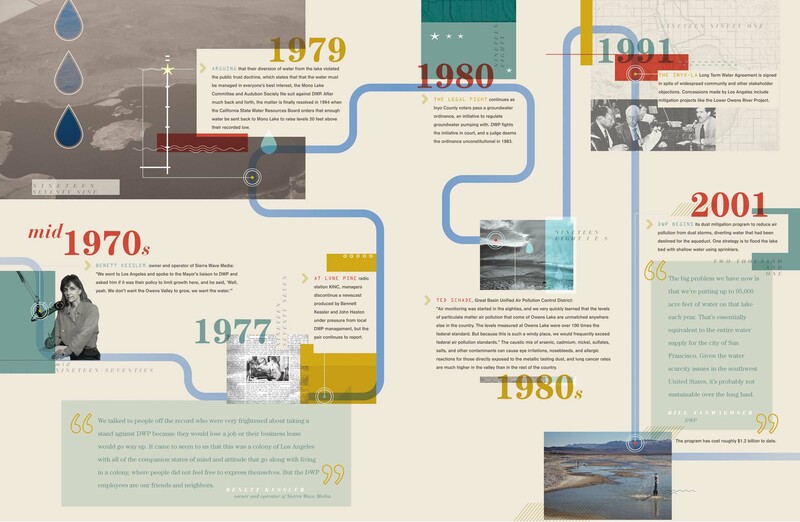 What follows is the story of the aqueduct from the perspective of the people at the other end of the pipe, told through excerpts from Kim Stringfellow’s audio tour of the Owens Valley, There It Is—Take It! 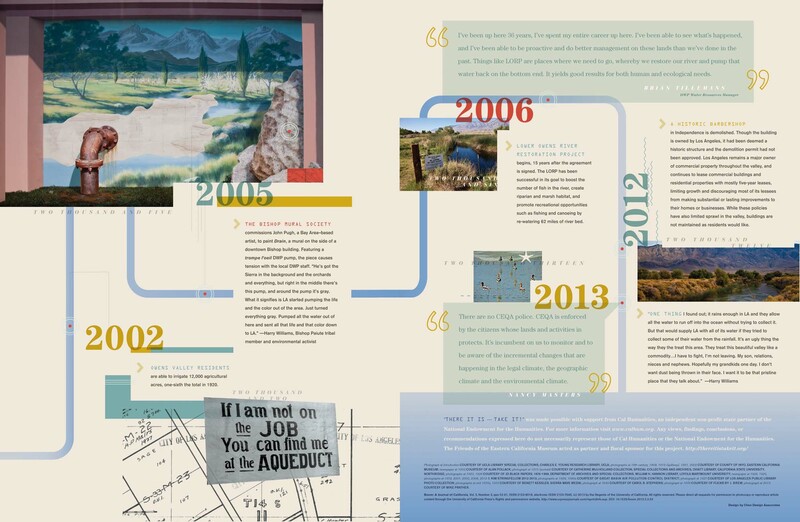 Stringfellow’s work collects her research and interviews with activists, environmentalists, litigators, Los Angeles Department of Water and Power (LADWP) employees, historians, biologists, and residents to tell their story of a century of protests, legal challenges, negotiations, and, finally, some agreements. 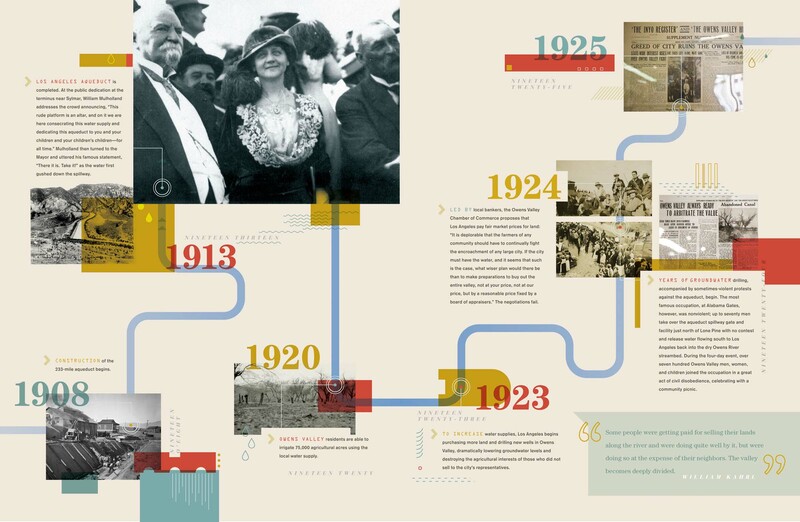 Click a panel of the timeline below to see a larger version.